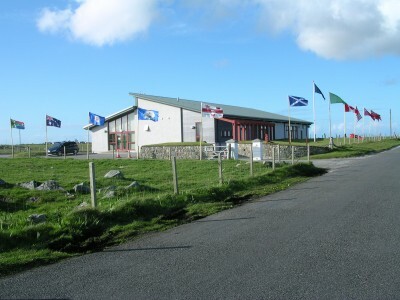 Local news: rock drilling at Ruaig; interview with Bernie Smith; access; council urges residents to measure their carbon footprint; council welcomes Marine Bill; An Talla news; Tiree Environmental Action and Recycling news; Tiree-Glasgow flight to be run by Flybe instead of Loganair. 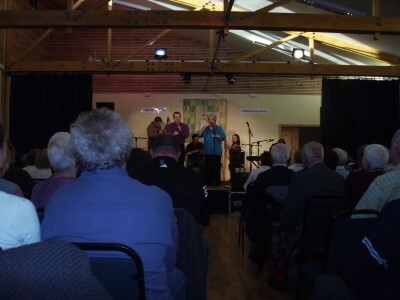 Colour photograph of singers and musicians performing on stage to a packed audience in An Talla during the A` Bhuain homecoming in spring 2006. Some of the performers are Tiree diaspora. Original held on CD in filing cabinet 10 drawer 1. 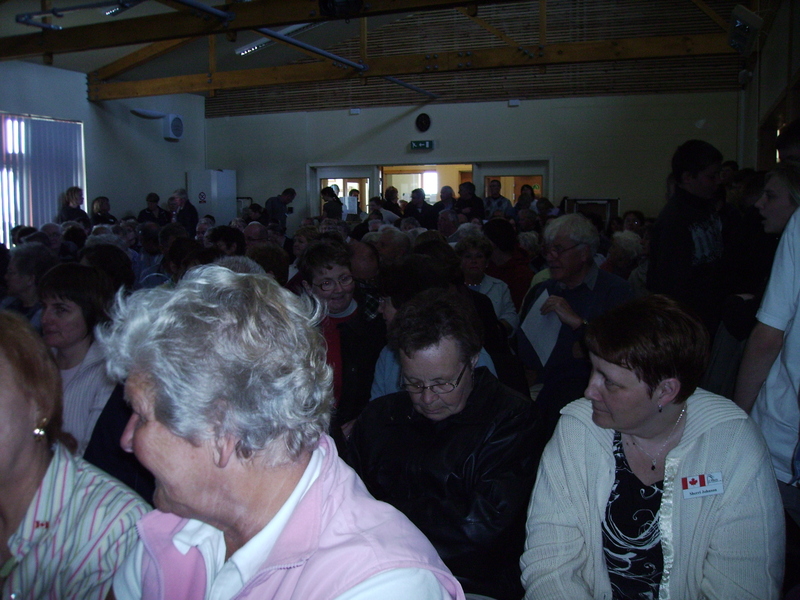 Colour photograph of An Talla`s main hall at full capacity (and some more) during a performance of the Napier Commission play in 2006. The play was written and performed for the A` Bhuain homecoming of the Tiree diaspora. Original held on CD in filing cabinet 10 drawer 1. 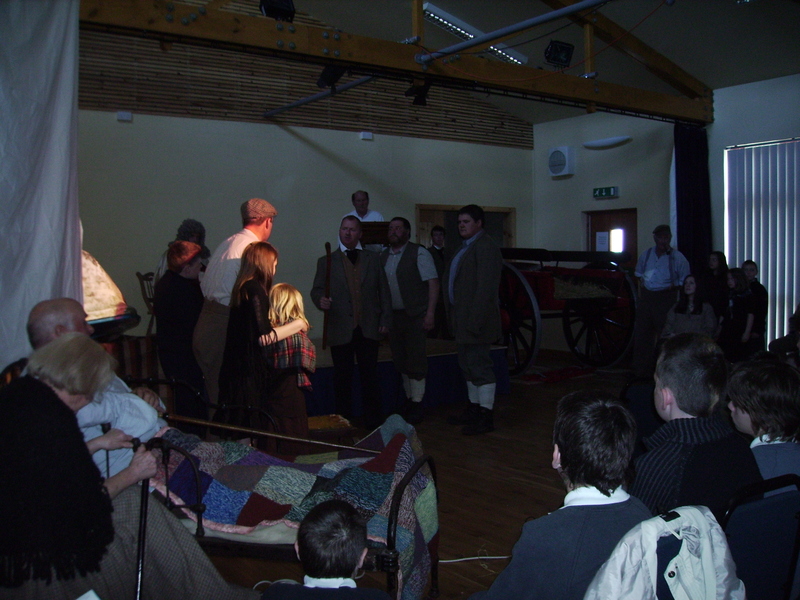 Colour photograph of Tiree amateur actors on stage in An Talla during the A` Bhuain homecoming in spring 2006. The play was based on the Napier Commission of 1883 held to investigate the living conditions and treatment of crofters in the late 1800s. On stage are (L-R): Barbara MacIntyre, Gott; John Fletcher, Balemartine; John Bowler, Balephuil (as Lord Napier); unknown group; Danny Lapsley, Caoles; unknown at lecturn; `Bear` MacKinnon, Balinoe; Mark Beese, Kilmoluaig; John MacLean, Balephuil; Alasdair `Billy the Post`; Rebecca Wright, Heylipol; unknown children. Original held on CD in filing cabinet 10 drawer 1. 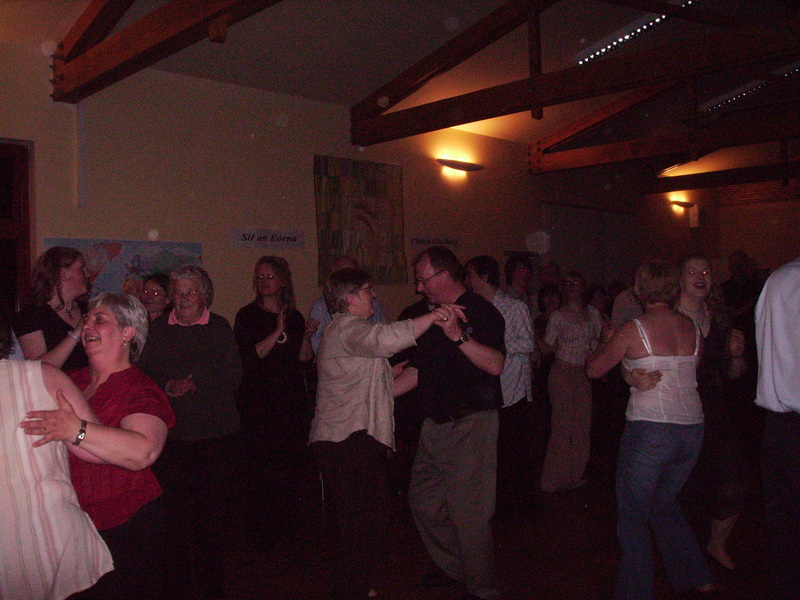 Colour photograph of people dancing in An Talla during the A` Bhuain homecoming for the Tiree diaspora in spring 2006. L-R: unknown; unknown; Jessie Gray, Balemartine; unknown; Flora MacLean, Druimfraoich; Louise MacDougall, Scarinish; Liz and Danny Lapsley, Caoles; unknown; Michael Holliday, Baugh (background); Jaclyn Langley, Scarinish (background); unknown dancing with Lynsey Gray, Balemartine. Original held on CD in filing cabinet 10 drawer 1. Colour photograph of An Talla in spring 2006 surrounded by international flags for the A` Bhuain homecoming for Tiree diaspora. Original held on CD in filing cabinet 10 drawer 1. 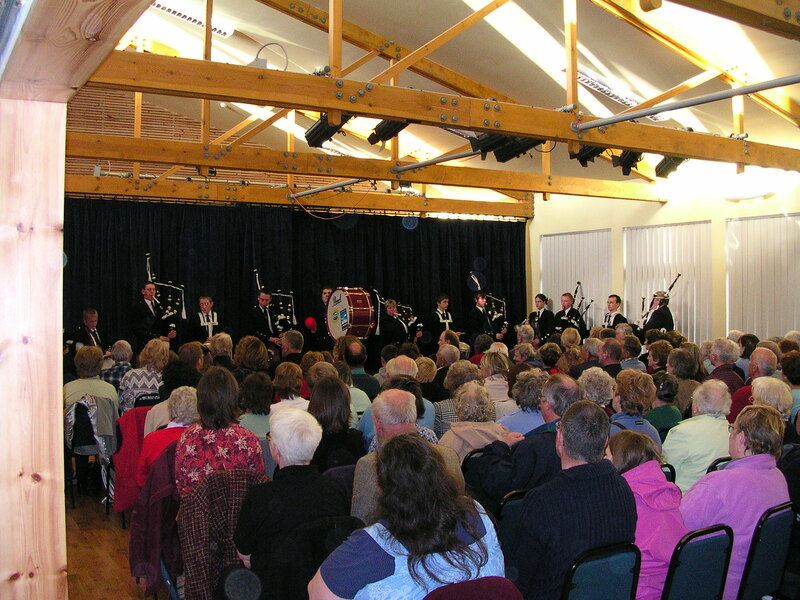 Colour photograph of Tiree Pipe Band playing to a packed audience in An Talla during the A` Bhuain homecoming in 2006. Original held on CD in filing cabinet 10 drawer 1.